Self made, drawn or knitted - Every mom is hoping for a Mother’s Day gift that comes from the heart and was made with lots of love and thought. 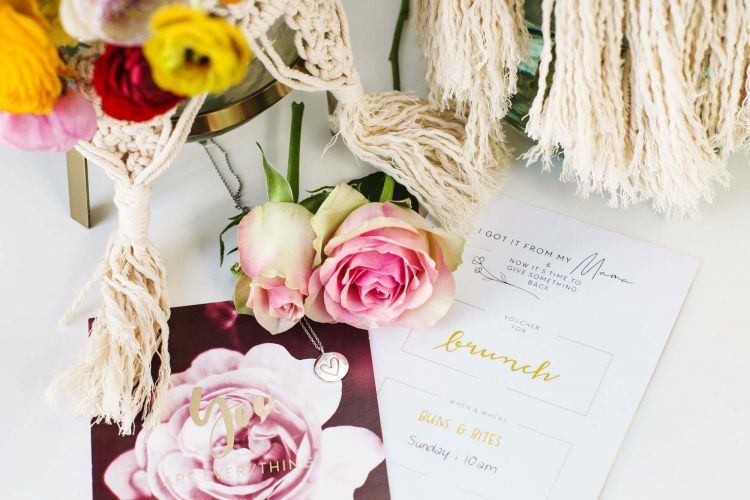 So it’s on us - the children - to give our moms something very special on their special day! 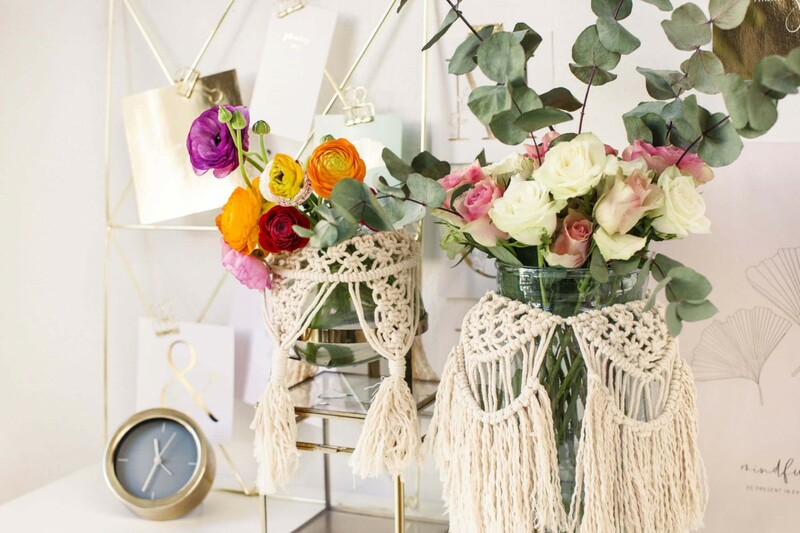 How about a gorgeous macrame on a vase for the most perfect Mother’s Day flowers? We aren’t only gifting a customized flower bouquet this Mother’s Day with our self made macrame. 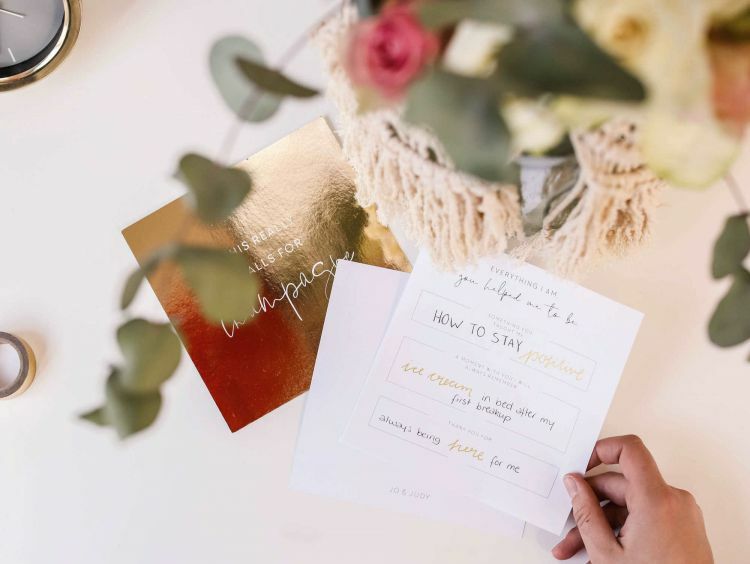 We’ve also created two different downloads for the back of your Mother’s Day card for your most precious memories or a personal voucher for your mom. Gift time together and tell your mom, why she’s the best and what you are most thankful for! Download the two versions for your Mother’s Day card here and have a look at our matching postcards in gold and red. 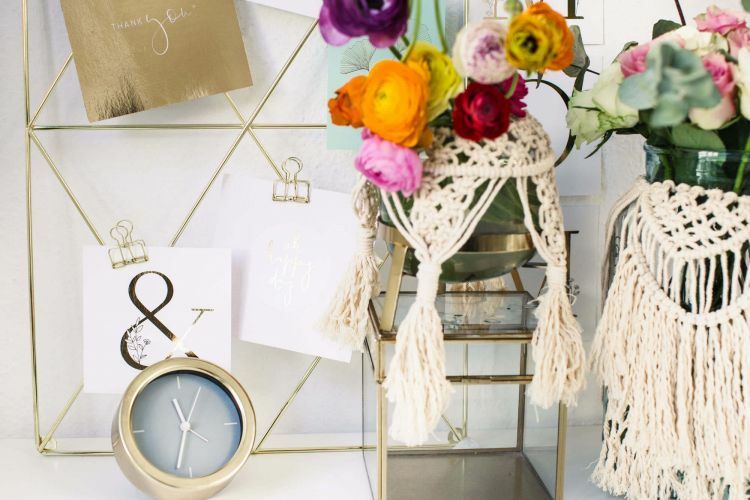 The options are pretty much endless when decorating a vase. 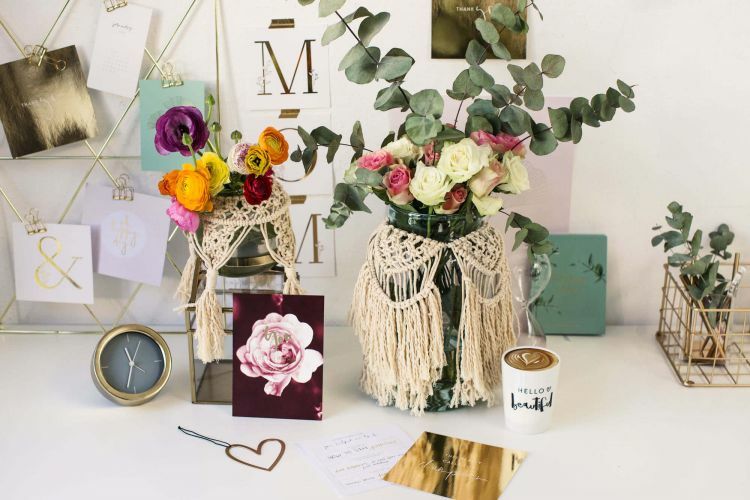 You could spray paint it, write something on it or do it like us: Create a macrame that wraps the vase gorgeously. If you are as in love with this DIY as us, head over to our previous macrame post in the magazine and watch the video on YouTube to learn about the most important macrame knots and techniques. Once you’ve mastered them, you can create almost any pattern on the vase of your choice! A gift that involves spending time together is always a winner on Mother’s Day. Simply download the voucher for the back of your Mother’s Day card, fill in the activity, place and time and put a smile on your mom’s face! If your mom is a lover of all things elegant and shiny, have a look at our jewelry section to create the perfect gift. 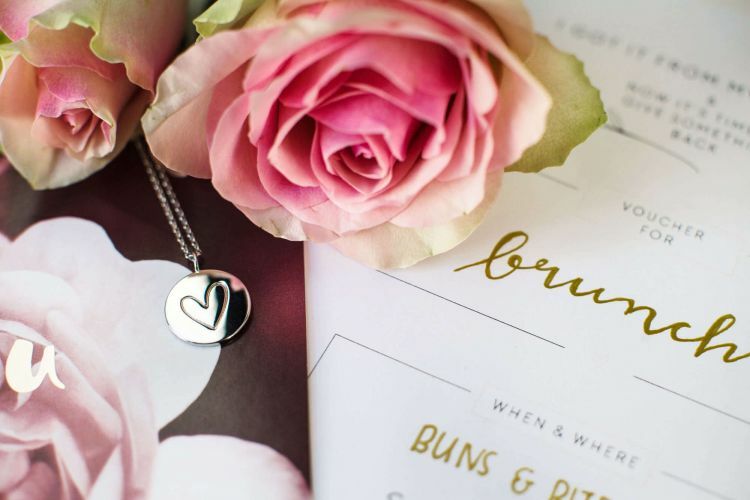 How about the lovely heart necklace in silver? Show your mom how thankful you are for everything that she’s done for you. On our second download, you’ll find three sections for your most cherished lessons learnt and memories shared. Say THANK YOU on this special day. Download the template for free and find the matching postcard here. 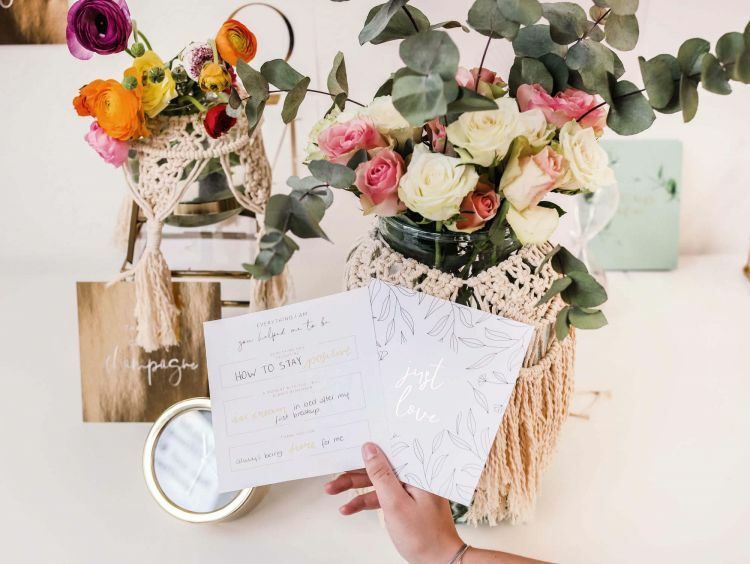 We hope that we could give you some inspiration for this year’s Mother’s Day gift and if you are still looking for something small or even big in addition, scroll through our product range and select the perfect gift for your mom! We wish you and your mom a Mother’s Day filled with lots of love and laughter surrounded by your loved ones!